The B 60/10 C is a Mopvac and represents a completely new category of machine. 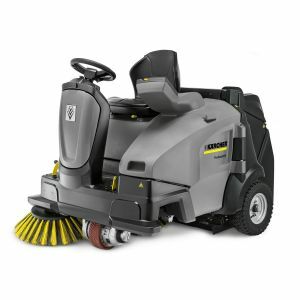 The B 60/10 C combines manual mopping with the advantages of a scrubber drier. This machine is suitable for wet cleaning on all smooth surfaces, including PVC, linoleum, smooth natural stone without crevices, and synthetic or polished screed floors. It reliably vacuums up the dirty water – without any electricity. The suction pump is driven by the main wheel. At the end of the cleaning process, the floor is dry and free from detergent residues. The B 60/10 C is equipped with a 10-litre fresh water tank, a 10-litre dirty water tank and a 60-cm mop. The B 60/10 C is also extremely efficient and can clean up to 1500 square metres per hour. A further advantage is that the machine is incredibly easy to use. 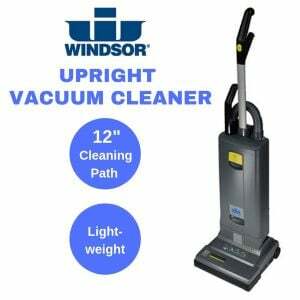 • Dirty water is vacuumed: Leaves floors dry after cleaning. Lower risk of slipping. No detergent residue and therefore less subsequent soiling. • Simple and intuitive operation: Easy to use. No training necessary. • 60-cm-wide pad with squeegee blade: Highly efficient in open areas. The area performance is comparable to a 43 cm scrubber drierworks five times faster than with a mop and bucket. For smooth surfaces. • Walk-behind machine: More ergonomic than a mop. • Pad for coarse dirt: Hairs and coarse particles are picked up by the pad. Prevents blockages in the suction sieve. Pad is easy to change.